Mark Gertler developed a stylised way with chunky figures (eg the strange and wonderful The Fruit Sorters) and blocky landscapes (The Pool at Garsington) – though he’s probably best known for the highly stylised Merry-go-round, currently hanging in Tate Britain. 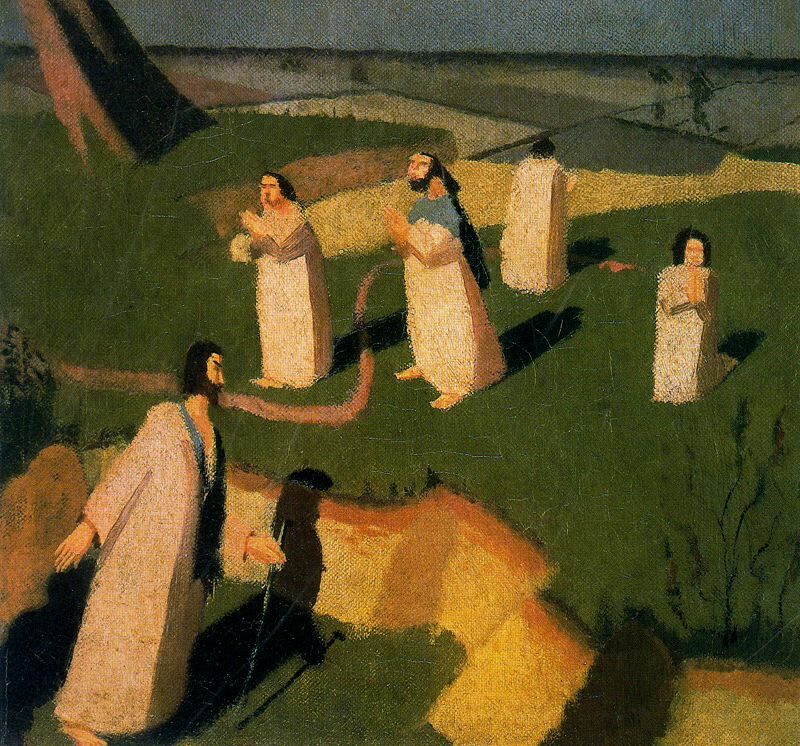 Paintings by Mark Gertler on Google images. Dora Carrington is the most elusive of the bunch: a note on the exhibition wall claims the patriarchal sexism of the Georgian art world undermined her confidence. It is telling that the images Google images bring together for her are a) not particularly distinctive b) feature lots of photos of her with men including the Love of her Life, Lytton Strachey. The show features some striking pencil drawings of heads and wonderful female nudes (the powerful Female Figure Lying on Her Back, 1912) testament to Slade’s insistence on teaching its students draughtmanship. She married the writer Lytton Strachey and moved to rural Berkshire, where she painted local scenery eg The River Pang above Tidmarsh, in stark contrast to the urban and/or modernist approach of the five men. 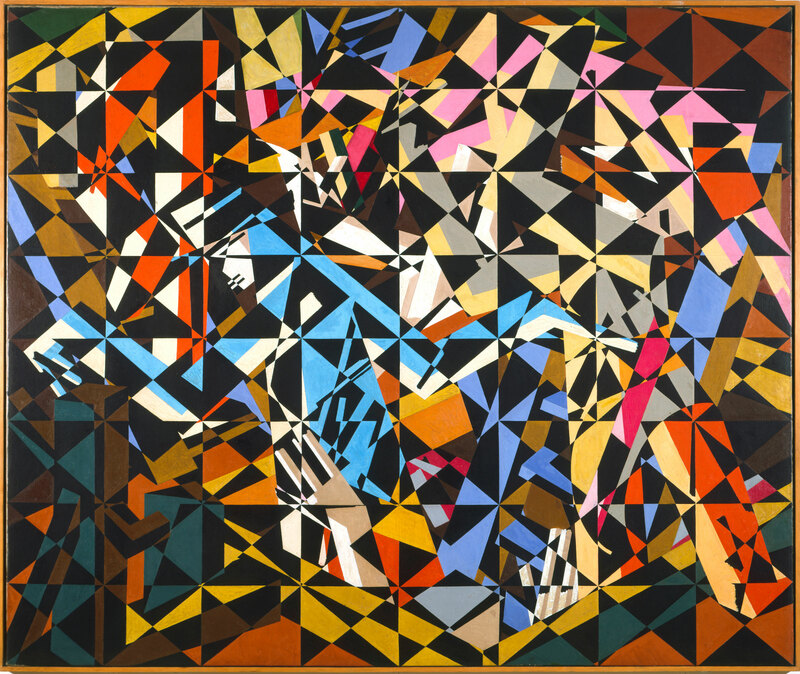 David Bomberg was, apparently, one of the first painters to experiment with pure abstraction in 1913 and 1914, in paintings like The Mud Bath or In The Hold (1914), below, painted when he was just 22! Paul Nash had a long and successful career developing his early knack for landscape into a particularly surreal vision of an essentially quiet pastoral England. Throughout his career he produced vivid and strange images, of the Great War (The Menin Road), of the South Downs in the 30s (Landscape from a Dream), and then haunting depictions of the Second World War in the 1940s (Totes Meer). Paintings by Paul Nash on Google images. C.R.W. Nevinson quickly took to the Futurist/Vorticist style in with its dynamic angles, bright colours and sense of boundless energy bursting out the confines of the picture frame. I liked The Towpath, an early example of industrial impressionism which reminded me of the Paul Valette painting I saw at the Lowry exhibition: it was done in 1912 but only a year later he had moved beyond this into the modernism of Dance Hall Scene, below, or the Le Vieux Port, both 1913. Nevinson found the subject to match his angular, vibrant style in the Great War, working in the Ambulance Corps and producing unforgettable images of which maybe the most famous is La Mitrailleuse. 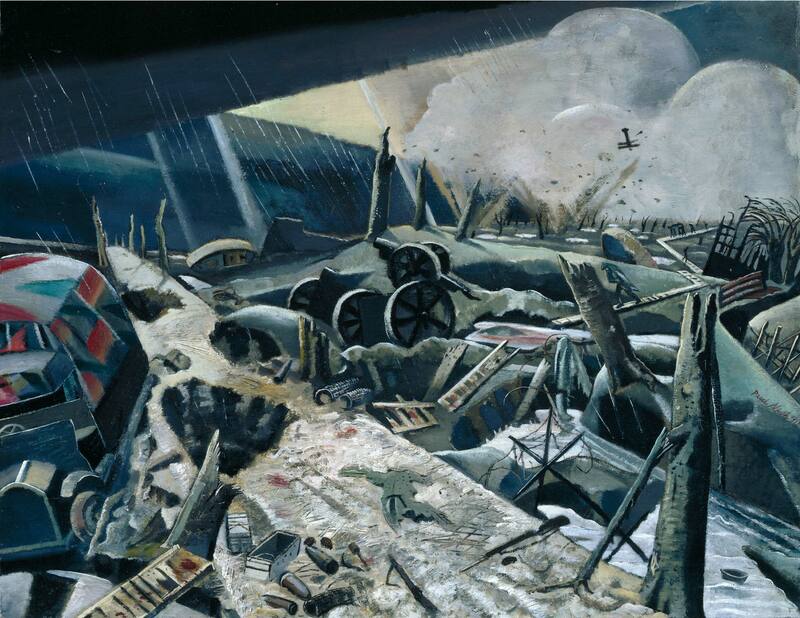 Everything Nevinson did in these few hectic years is excellent, virile, lucid, alive, like the darkly vivid Column on the March, or the grim scene in a field hospital,La Patrie. 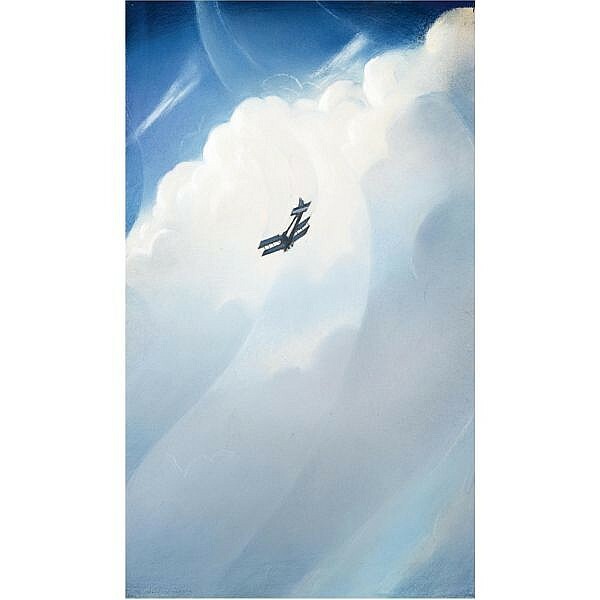 He did a series of paintings of airplanes in the Great War and there is a perfect, exquisite example here – Spiral descent – a sliver of blue heaven with a tiny matchstick airplane swooping down the metal curve of the sky – breathtaking. 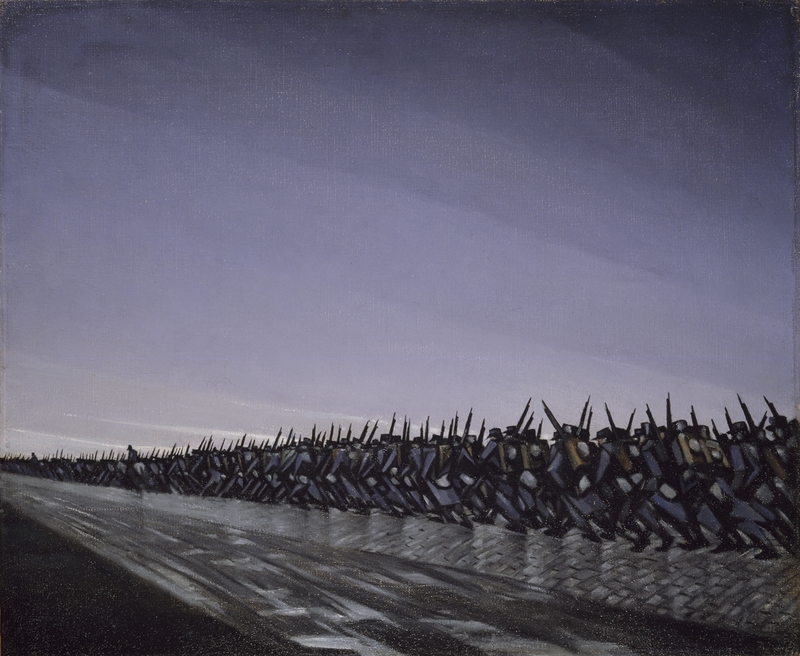 Paintings by CRW Nevinson on Google images. Stanley Spencer was to become the most successful of the group, going on to fame and a knighthood, all very odd for the shy visionary from Cookham. The early works in the exhibition show the quirky naive style Spencer was developing, the Christian subject matter embedded in his native Berkshire village and the awkward angular handling of the human figure (John Donne arriving in heaven) – but they seem like apprentice works, none of them have the finished, oiled richness of his amazing shipbuilding paintings from the Second World War or the mature Cookham paintings. Paintings by Stanley Spencer on Google images. The last room, detailing the fates of the six artists after the Great War, is sad: Nevinson never recovered the swashbuckling style or intense subject matter of the War, reverting to a more figurative style, sinking into despair by the mid-20s and dying unknown in the 1940s. Gertler gassed himself in 1936. Dora Carrington shot herself in 1932 shortly after Lytton Strachey died. 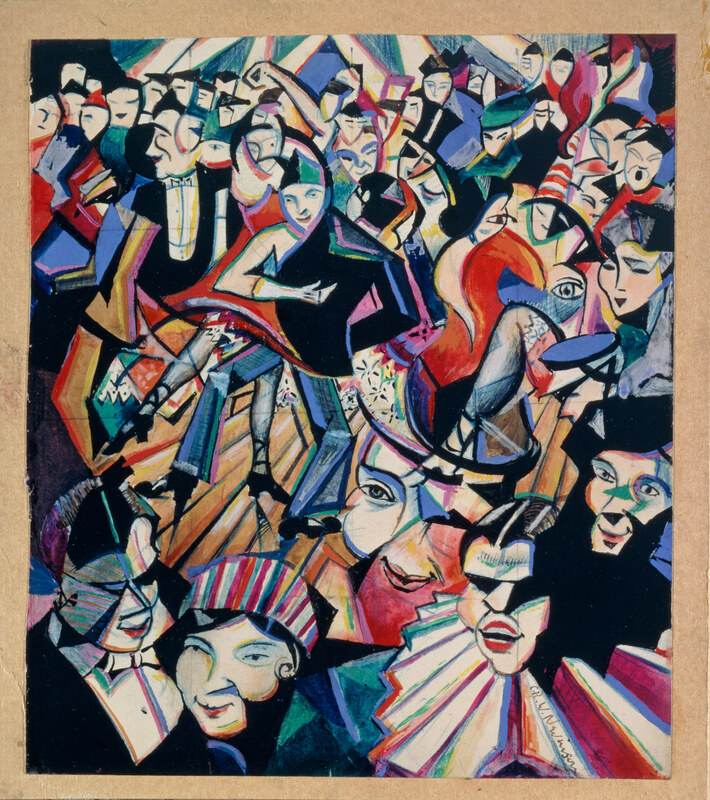 Bomberg, though a brilliant teacher, sank into critical obscurity. Only Nash and Spencer went on to unquestioned success. This is a wonderfully intimate exhibition, showing early and minor and experimental works from six very interesting artists, as they found their feet and navigated through the hectic style wars of the experimental 1910s and the brutal War Years. The exhibition continues until 22 September at Dulwich Picture Gallery.